Sunshine Stars of Akure have won their last two away games against ABS FC and Rivers United respectively. This exciting feat is sandwiched by their defeat at home in the hands of Nasarawa United in match day 29. The Akure Gunners, by virtue of this victory, have climbed up to 14th Position. Ezekiel Thompson got the only goal, which gave Sunshine Stars the edge over the Pride of Rivers. 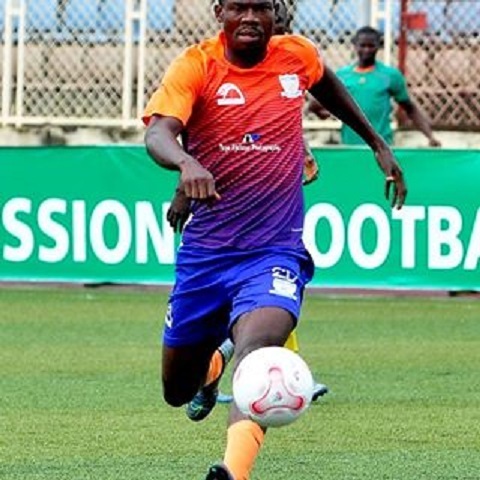 Emma James converted a controversial penalty awarded to league leaders, Plateau United as they continue the race to grab their first premier league title. 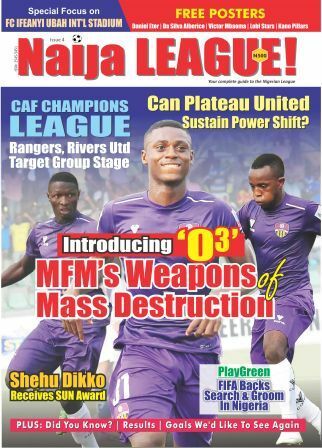 The Jos based side have now moved 5 points clear followed by MFM and Akwa United who have also been in form lately. The Anambra Warriors could not build on the momentum gained after defeating rivals Enyimba FC weekend. Awka United’s title push got a lift after they secured an important point in Umahia. The duel against Abia Warriors did not produce any result, but coach Abdul Maikaba claims that the result fell short of their plan noting that “ we came here for the three points. I understand it is difficult to play on this pitch that is why I played with more attackers than usual. We missed some good chances that could have giving us the lead”. However, Abia Warriors showed great intent to put their host to the sword; midfielder Arinze Nwaogu and Shadrack Asiegbu stood out for Abdul Biffo’s men even though they were forced to share the spoils at home. Two late goals by 7-time NPFL champions came as a surprise to Lobi Stars who took the lead for most part of the encounter. The “Panther”, Tony Okpotu gave the visitors the lead in the first half, but Mfon Udoh’s strike leveled for Enyimba while Ikechukwu Igbenegbu gave the host the lead, and the eventual winner in the late minutes through a super freekick. Enyimba are still hovering for a continental ticket as they are placed in the 4th position, while Lobi Stars occupy the 6th place. Nasarawa United won their second consecutive game after defeating El-Kanemi Warriors in Lafia. A brace from Adamu Hassan gave the homers a comfortable victory and has pushed them to the 8th place on the log. Hashimu Haliru pulled one back for El-Kanemi Warriors in the 53rd minutes, but the visitors still left empty handed, standing on 6th position on the log. Ekene Awazie equalized in added time to equalize for his side in the not-much-talked-about southwest derby. The bottom placed side was held by Shooting Stars until 90 minutes. Shooting Stars had earlier taken the lead in the 66th minute through Moses James. In the northern derby between Katsina United and Kano Pillars, Usule Martins' 36th minute header was all the host needed to conquer Masu Gida in a highly contested game settled at the Muhammadu Dikko Stadium, Katsina. Wikki Tourists defeated z threatened ABS FC in Bauchi as the host has apparently swam out of the danger zone. Harrison Madu who headed in Idris Guda’s free kick recorded the solitary goal in the encounter. Wikki are now on 12th position while ABS FC remains in the drop zone, 18th position to be precise. The game ended in a goalless draw. This result spells doom for the hosts as they sit in the murky waters of relegation. Gombe United are on the 19th position while the visitors who occupy a better position: 9th have been able to garner 44 points so far in the league.